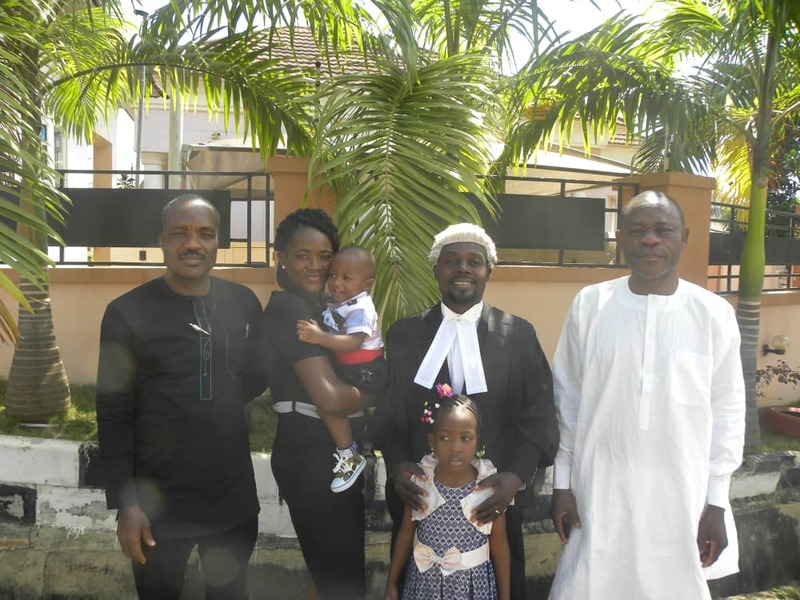 In the above picture with Barrister Mike Adah who must have been the most determined to study Law among the 400 plus lawyers called to the Bar yesterday, (November 29th, 2018) in Abuja are (L-R): Dr. Okpeh Alleh Okpeh of the University of Abuja; Mrs and Barrister Mike Adah (with their two children) and Mr Adagbo Onoja of Veritas University, Abuja. It can be regarded as Barrister Adah’s crowning moment at last in a story of a hot pursuit of a law degree through thick and thin of getting the admission, coping with the campus situation of today in which students combine cooking for themselves with studying, making it to the Law School and then being called to the Bar. It has been well worth it, with the wig and the gown and what the wig and the gown can do!